Mordian 7th Regiment: The "250th Post, and 4 Years" milestone giveaway! Holy cow! I just took a gander at my post history and this is post #250. Not only that, but as of yesterday, I've been banging away at the blog for 4 years. FOUR YEARS?! How does that happen? I want to send all my readers a huge THANK YOU for all the support, comments, and constructive criticism you've given me over the years, and as a token of my appreciation, I delved into the Closet of Doom to come up with something to use for the reward for a giveaway contest! How does a brand spanking new Stormraven sound? As part of the planning for the Heresy-Era World Eaters, I'd picked up a Stormraven kit that I was going to use for conversion fodder to make a Stormhawk. Of course, not but two weeks later, Forge World announced their Storm Eagle, and suddenly the kit I'd picked up became superfluous. 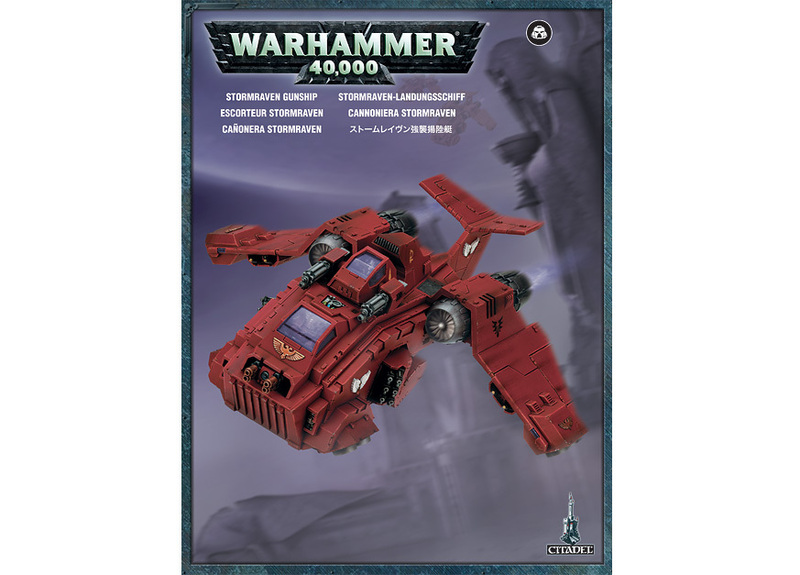 So, here's the plan - 1) if you're a follower of my blog, and 2) you post a comment on this post, on Sunday night (4/22/12) I'll randomly pick out one of you fine folks and send you a brand new, on the sprue Stormraven kit (sans shrinkwrap though, as I had opened it to ensure everything was intact and correct)! Once again, a tremendous thank you to all of you who have followed along on my meanderings through the blogosphere, and I hope to provide you with many more years of hobby goodness! Love the blog. Love free stuff. Keep up the good work. My son would love the stormraven for his blood angels. Congrats, and I feel your pain about the stormraven... no sooner had I bought some chaos knight horses to stand in as thunderwolves did GW release the TW cav kits! Thanks for blogging all this time youve inspired me and a lot of other people. I'm still in awe of the Thousand Sons army you just finished! Congrats on the 250th post! Awesome giveaway man, and Congratulations on the years of posts. It takes a lot to keep going that long. Well done on 250 posts and 4 years.. not only that but its the quality content that you post. keep up the good work. congrats dude, from how much hobby stuff you get done so quick, I'd be surprised if it takes you that long again to get to post 500! can definitely use a second storm raven for my flesh tearers so happy to be in for this contest! Wow, 4 years! I've not been around that long but nonetheless I've enjoyed your blog and your armies! Can't wait to go through your next 250 posts!!! 4 years is really something for me to aspire to. Grats man, and look forward to seeing those World Eaters! I'm finally starting back up on my Thousand Sons, so stay tuned, haha. Keep up the awesome work! Love the blog Sir! Great stuff Joel, keep it up. We are a few months behind, Aug is four years for weemen.blogspot.com. You've been a great partner for inspiration the whole time! Good stuff. Congratulations on both counts, matey! I know I've drawn a lot of inspiration from what you've posted over the years, and thanks for the nods back, too! Your generosity is, I think, exceeded only by the evident coolness of your generosity. Here's to the next 250, eh? Congrats on the 4-year mark. Keep up the good work. Also, I'm really glad to see you joined up with Apocalypse40k forum. I've been following your work for a while now. Plus, you're the one who turned me onto Davinci's Sabre tanks, so that alone deserves thanks (now if only I can get him to sell me one!). I hope to reach this same milestone. Keep up the good work! Congratulations on making it to another blogging milestone. It is good to see a blog continue when so many other fall by the wayside. Always loved your painting style and the Mechanicus armies. Pity you had to auction off some of the awesome stuffs i.e. Myrmidon. Congrats on the Milestone! May your passion for this hobby never die and hope to see more awesome stuffs from this blog in the future!! COngrats on the double milestone... Now if I could plan to hit something like that at the same time as you planned so well! Thanx for the regular and consistent inpiration! Keep it up for another 250! Thanks for the opportunity, If I got the prize it will receive a nice lovely coat of blue paint. Well done indeed sir. 4 years! I can only hope some of that longevity is going to rub off on my blog. Well done and looking forward to the next 250. As a long time lurker, it's long over due for me to give you a thumbs up for all your stuff. I reckon I should steal some of your mojo and finally start that blog I've been meaning to for the last four years. Here's to another four. Well done on the blogging achievement. I always enjoy seeing what pre heresy madness you have created. I was having a look at some of your older posts, your guard army is very nice and you have some great posts. Congratulations!